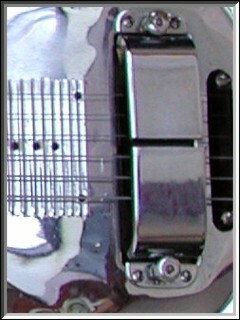 Though not a budget model, the Silver Hawaiian was the first stamped metal Rickenbacker. It had 35 frets and a chrome plated hollow body. The strings attached through holes stamped into the top. 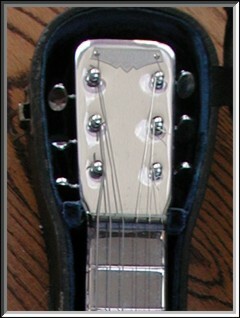 At first the Silver Hawaiian had a single volume control; by 1939 it featured a tone control too. 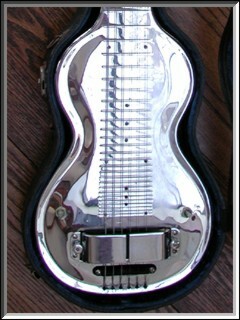 The Silver Hawaiian had either six or eight strings. The original flyer for the guitar described how to hook it up to a radio: "Any good radio service man will know how to make an attachment with these brief instructions." The factory discontinued the Silver Hawaiian after WW2. From the position of the controls on your guitar I thinks it is from 1940-41. Looks like a well preserved instrument to me.